Color is my middle name. 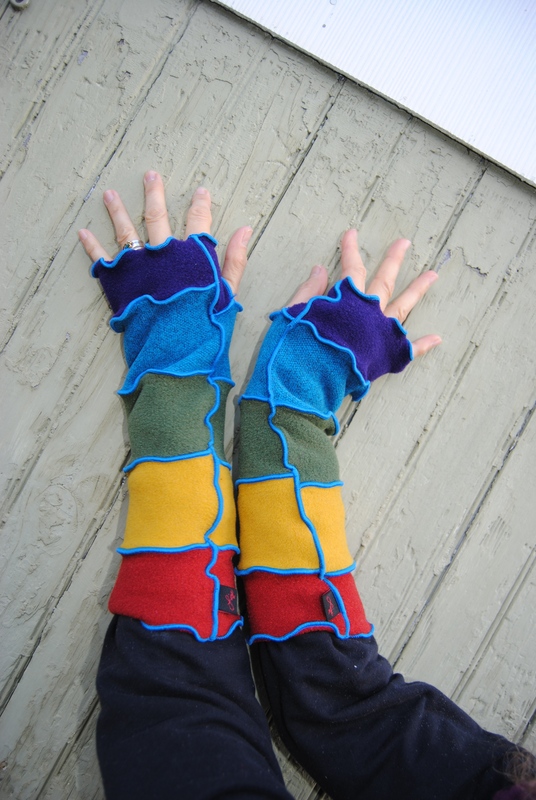 I make wonderful colorful stripey Arm Warmers, (also known as texting mittens since your fingers are available to do all sorts of things! ) 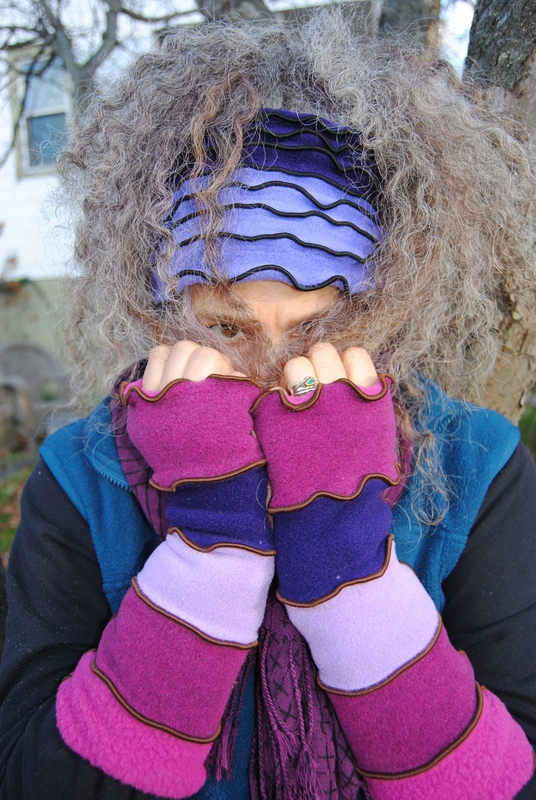 Your hand slips right into these 5 striped fingerless gloves just like a sleeve, they cover to your mid forearm with a slot for your thumb ending with a warm band of fleece around your palm. what could be cozier than that? They are made from the highest quality polartec fleece, so they never itch, plus they are machine washable. 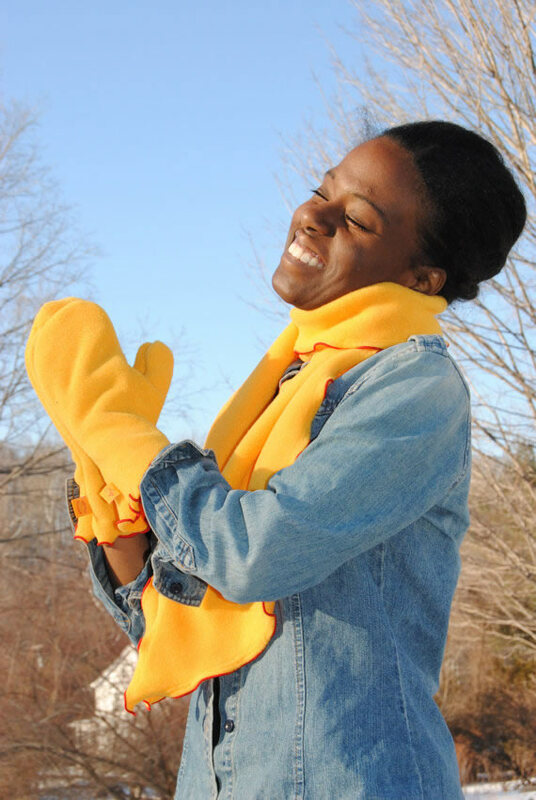 All the time you are wearing them you will be toasty, warm oh so fashionable and cute! 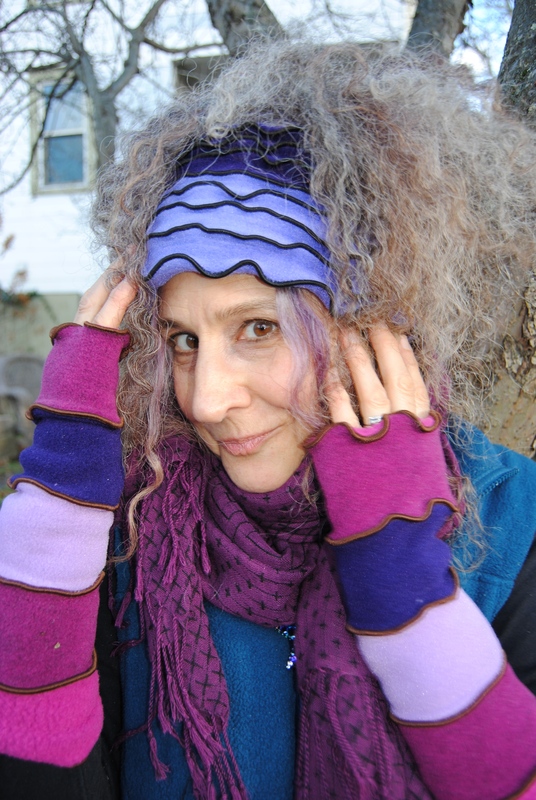 Now, if arm warmers don’t heat you up enough, you can get my snappy leg warmers too. 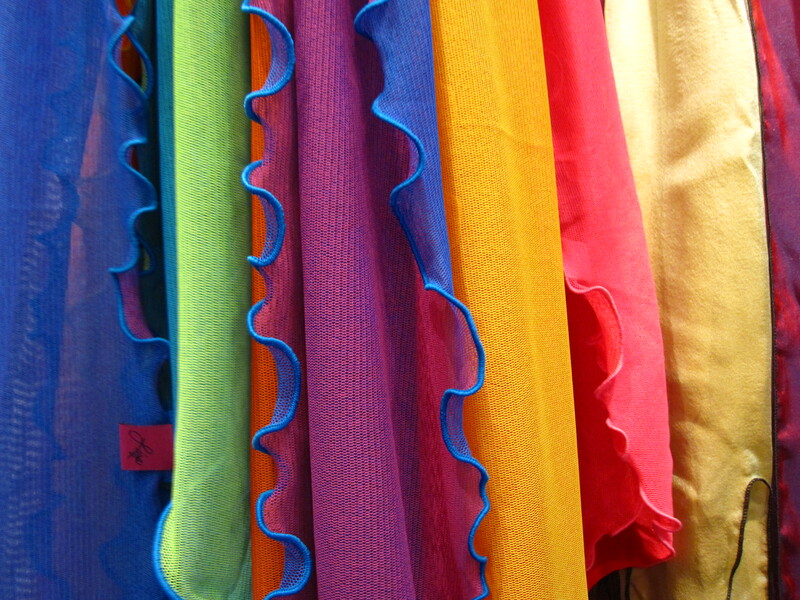 Never feel cold on your legs again.,even in skirts and dresses. Multi striped leg warmers come in colors ranging from blacks and greys, shades of purples and blues, rich caramel and butterscotch, to rainbows like you’ve never seen before. You name the colors, I probably make them. I have them with 3 stripes for newborns to 4 years old, 4 stripes for 5-9 year olds, 5 stripes for 10-12 year olds and 7 stripes for adults of all ages!.. There are some adults who prefer the shorter leg warmers, and that works too. 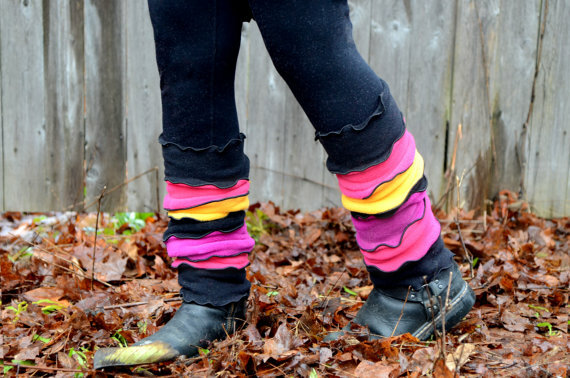 The 7 stripe leg warmers come just above the knee, but they add extra warmth when scrunched a bit, and scrunched leg warmers are often mistaken for awesome boots! So, did I mention Hats? 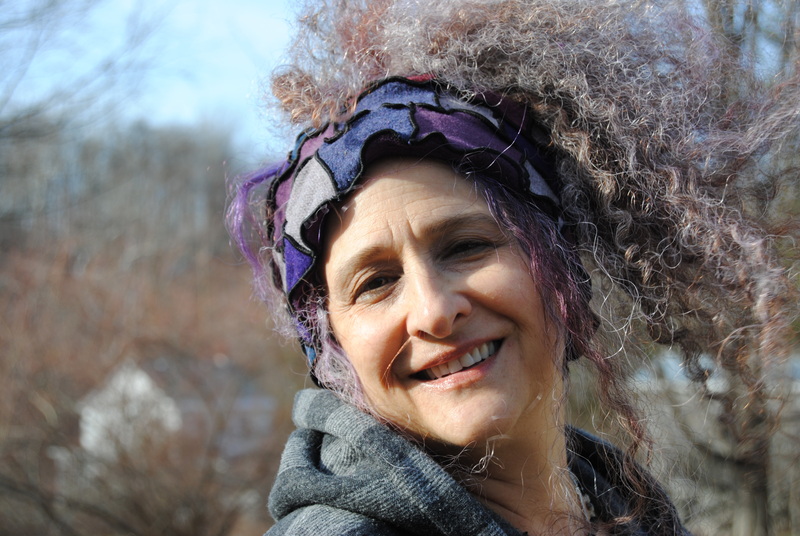 I make Polartec fleece hats that are two layers thick to hold in the heat from your head. They are sewn with multi rows of stitching to keep them stylish and original. 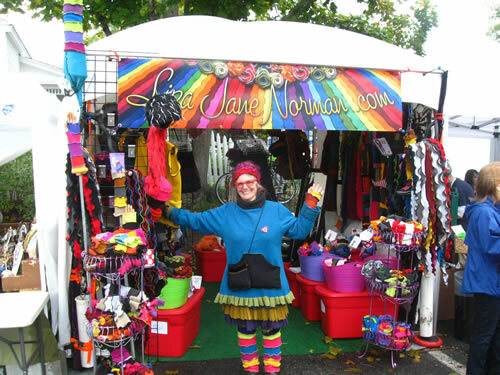 The colors can match the leg warmers and the arm warmers if that is your wish There are typically 4 colors to each hat.